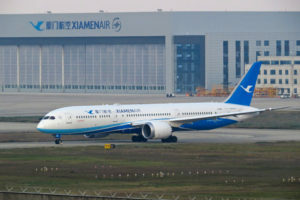 Xiamen Air is one of the smaller mainland Chinese airlines. 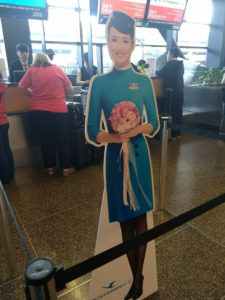 A member of SkyTeam, it codeshares a limited number of routes with Delta and is definitely a “little sister” when stacked up against the two other mainland Chinese SkyTeam airlines, China Eastern and China Southern. The airline mostly serves destinations in China, with a handful of international destinations (primarily in Asia). However, they do offer service to New York, Los Angeles, and Seattle along with Amsterdam, Sydney and Melbourne. Here in Seattle, Xiamen’s flight hasn’t been doing well. Of the transpacific flights to and from Sea-Tac, it is reputed to consistently have the lowest overall load factor. Given that the service is one of the only nonstops from the West Coast to the tech hub of Shenzhen, I was very surprised to hear this. 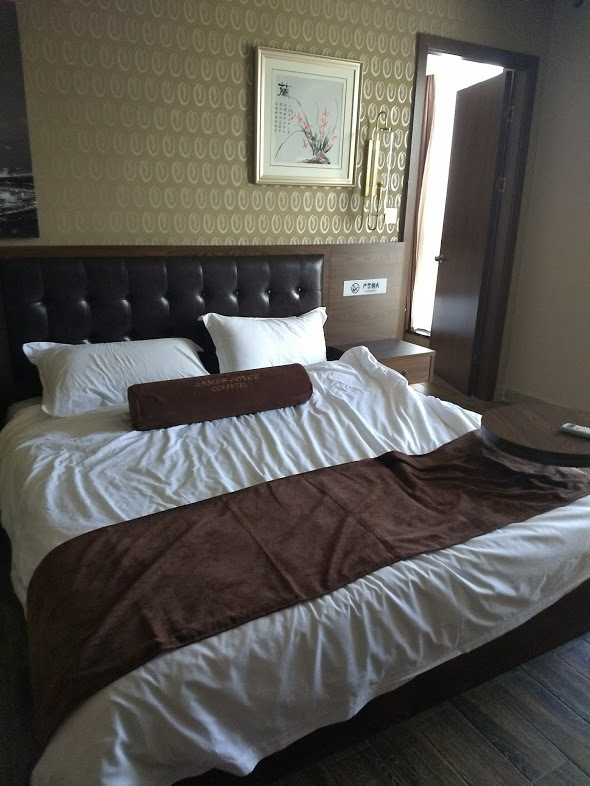 However, I haven’t gone out of my way to take the flight because the fares were relatively high, and I lived in China for 3 years so I haven’t really been in a hurry to go back there. All of this changed when I got the opportunity to attend and speak at DEF CON China, which was–to the best of my knowledge–the first international hacker conference to be hosted in China. I’ve been doing some research into a technical area where I thought feedback from a Chinese audience would be useful, so couldn’t pass it up. Only one problem: I figured out that I’d be going only about 2 weeks beforehand. This was enough time to get a visa together, but it was pretty late to book a flight. 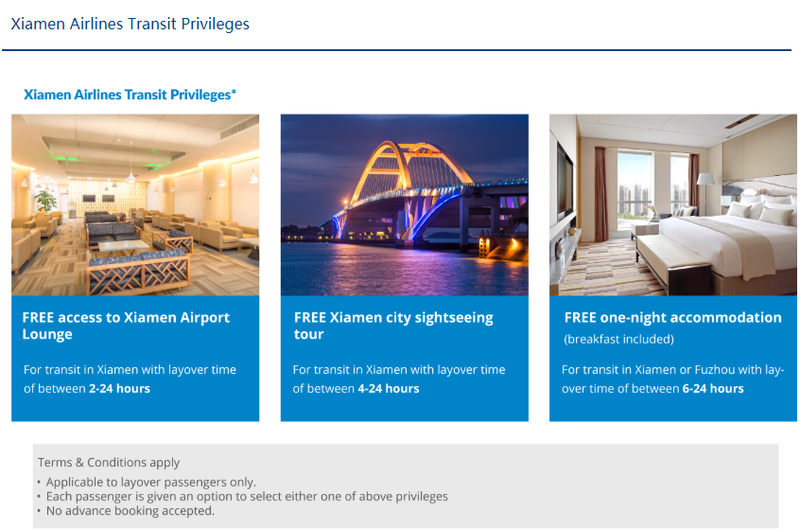 So I ended up booking with Xiamen Air despite their terrible itinerary due to their low price. Why would I subject myself to this? Because, dear reader, it was the cheapest way to get to Beijing: $479. 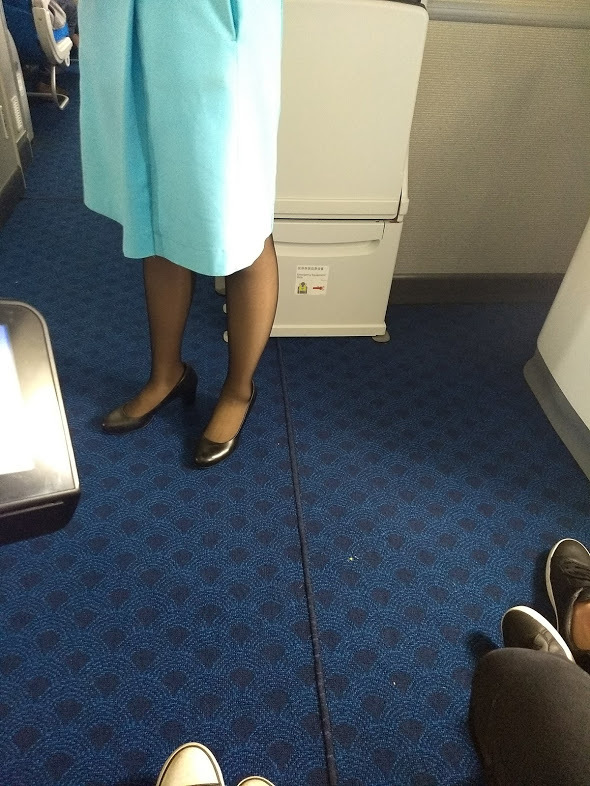 This blog isn’t called Seat 31B for nothing! No mistaking this for anything other than Xiamen Air! Xiamen Air’s check-in desk is all the way at the far end. Rather than being on the back wall, it backs up against the airport drive. 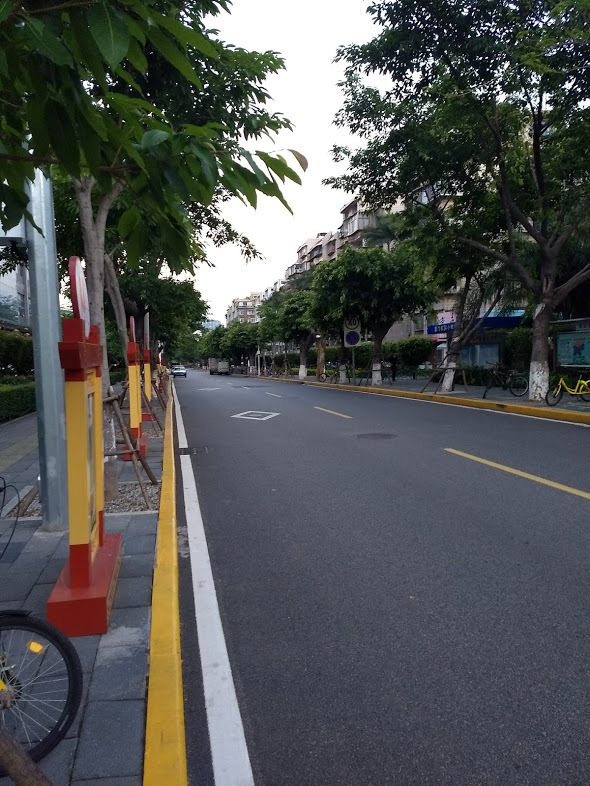 I was a little confused but Xiamen anticipated this and there was a cardboard cut-out to help me find my way. The check-in desk wasn’t crowded, even for economy class. 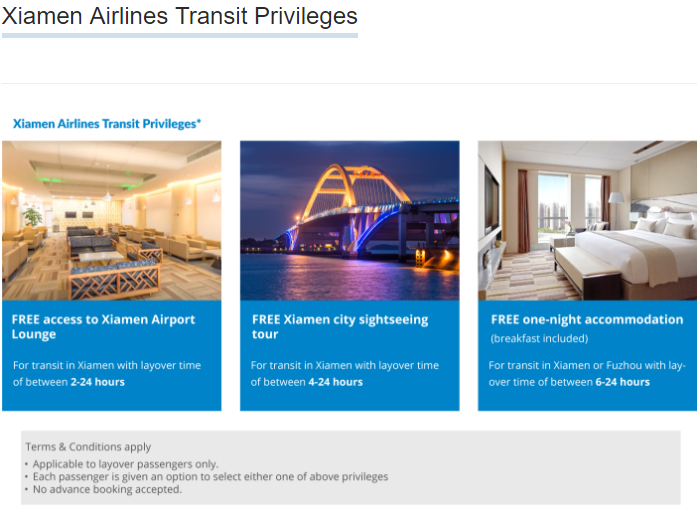 Granted, I arrived at the airport 3 hours before departure, because I hadn’t paid for a seat assignment, online check-in isn’t supported, and Xiamen doesn’t participate in TSA Precheck (you will not get precheck even if you have a known traveler number). I knew I would need plenty of extra time at the airport. Still, I got through the economy class line in about 5 minutes, and was able to arrange an aisle seat with no problem at all. One of my friends recently had luck talking his way into the precheck line with a NEXUS card, which I hold, so I figured I’d give it a try. I was unceremoniously bounced. Even though the airline I was flying didn’t participate in Precheck, it didn’t matter: I wasn’t given access. My guess is that the TSA agent at the other airport thought my friend’s NEXUS card was some sort of military identification instead of a trusted traveler card. After being kicked out of the Precheck line, it took over 45 minutes to get through the “regular” TSA security line. I’m not sure why airport security is always such a disaster in in the US and UK when it’s both faster and more thorough in China, but that’s an entirely separate discussion. 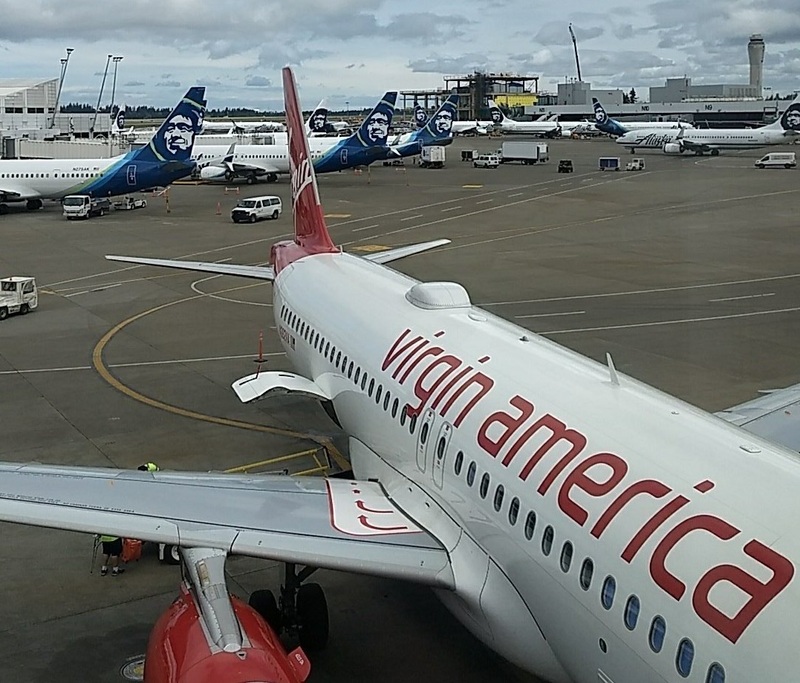 After I got into the airport, I went to the Alaska Airlines lounge and was granted entry (after a short wait when the agent called upstairs to make sure there was room) with my Priority Pass card. The planespotting was great, as it always is from the Alaska lounge. It was around lunchtime and I wasn’t sure what or how much they’d serve us on the plane, so I had some soup, salad and bread in the lounge. If you spend a lot of time in economy class, you probably picked up on it: the armrests are immovable and the IFE swings out from the front. Why might this be? My seat mates were both tech people and that’s the industry I work in too, so it was easy conversation to Shenzhen–particularly because one of the guys had brought a bunch of miniature bottles of booze on board, and the flight attendants were happy to look the other way. 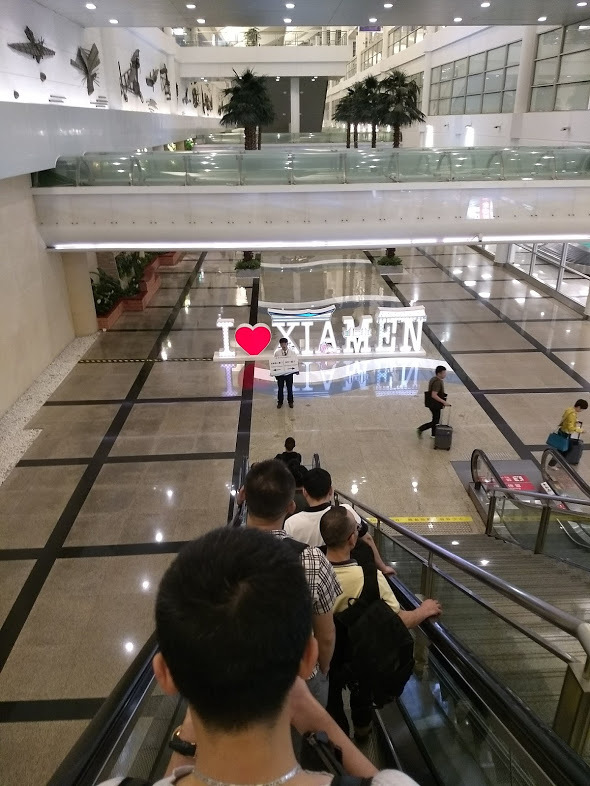 One thing that differentiates Xiamen from other Chinese airlines: the inflight service was very friendly and extremely attentive. 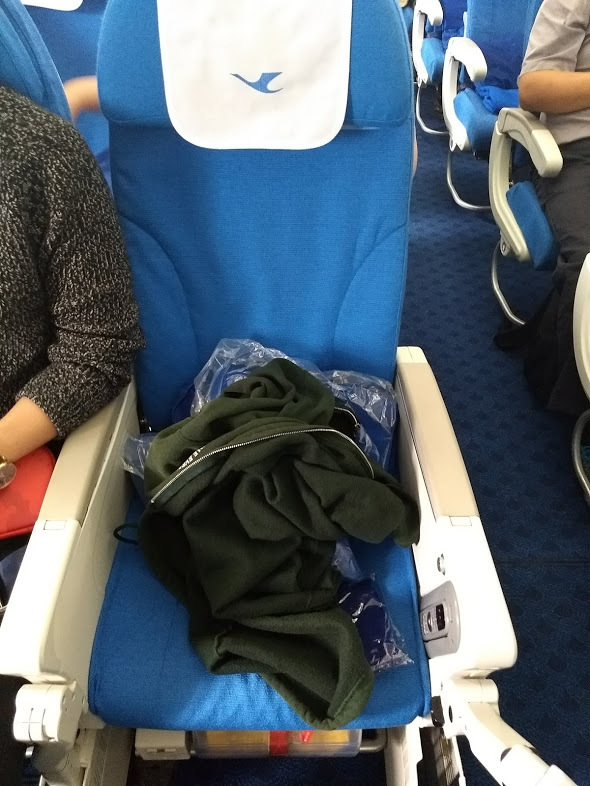 Actually, Xiamen Air service in economy class was on par with my last Cathay Pacific business class flight! They really get the small details and human kindnesses right from making sure you have enough water to noticing if you sneeze and bringing you a tissue. I was worried about going hungry on the flight but in the end we were stuffed, and the quality of the food catered in Seattle (more later on the food catered in Shenzhen) was very good for economy class. 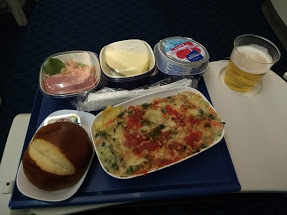 They fed us two full meals and brought two rounds of sandwiches midflight as well. While liquor wasn’t available (even for purchase), beer and wine flowed freely. To my delight, they had my favorite Chinese beer on board, Yanjing. It’s a local Beijing beer and I didn’t expect they’d actually have it, because Xiamen is in the southern part of China. …the Chinese Internet. Which is very special. And which, after you agree not to post any “illegal speech,” mercilessly blocks every VPN you throw at it (I did find a way around the firewall, but I am also far more technical than the average user). This is just fine if you’re Chinese though, or if you’re happy with reading the Global Times and Xinhua News. A few Western services aren’t blocked, maybe? Anyway, I happily used Twitter and Facebook the whole way to Shenzhen. When we approached Shenzhen, the cabin lighting turned into a rainbow. We landed at a remote stand (which is fairly common in China) and were herded onto buses that took us to the terminal. Once inside the terminal, it got a little bit confusing. 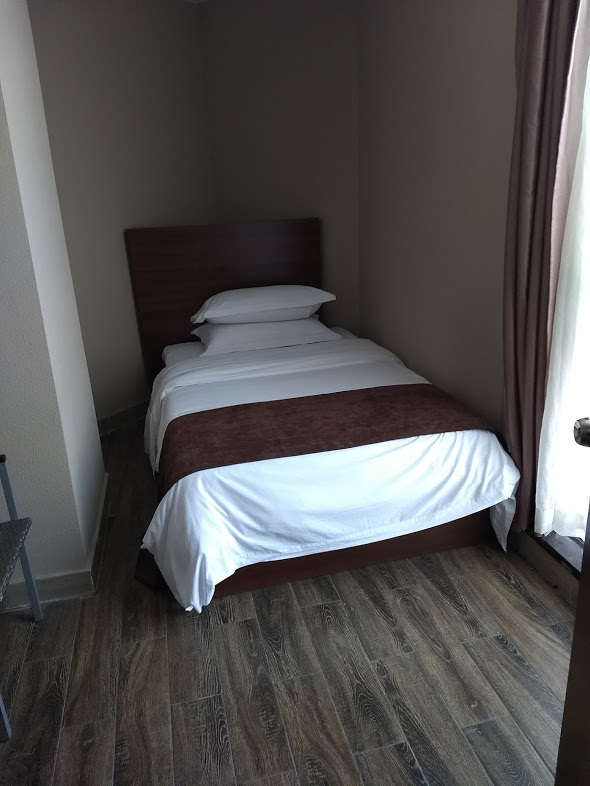 There are different immigration procedures, staff, and locations for people who are transiting China without a visa versus people who have a Chinese visa. I had a visa and two of the Americans on the plane, thinking I must know what I was doing, followed me into the wrong line. I redirected them back out of the line and into the correct place, although to be fair, Xiamen Airlines staff were there doing the same thing. 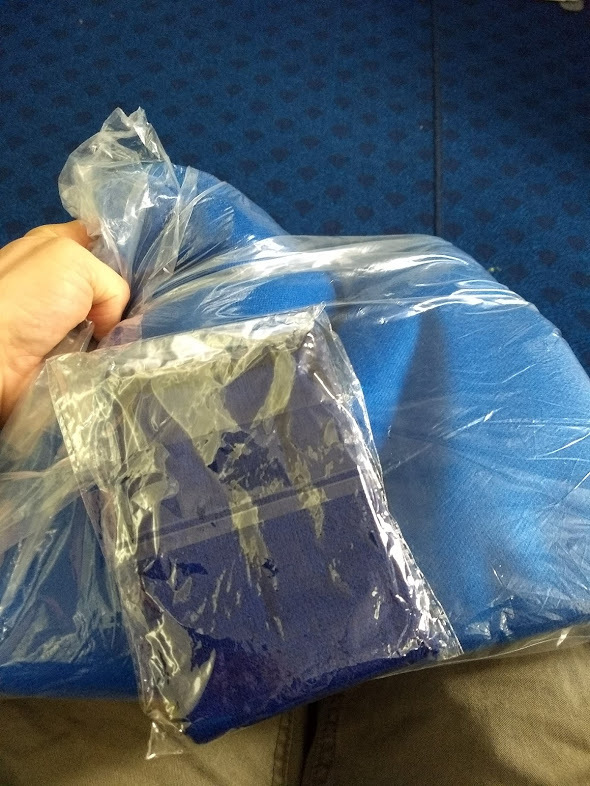 Additionally, once you get through immigration (which was efficient as always in China, although ever more intrusive–this time they captured my fingerprints) there are two different sets of baggage procedures. If you are continuing onward to Xiamen, you don’t claim your bag in Shenzhen; it is checked through to Xiamen. However, a lot of people went to the baggage area in Shenzhen, only to discover that their bags weren’t there. They then had to be escorted back out of the baggage area, because it’s a Customs zone and exits out of the secured area of the airport. I followed the correct signs which took me down a long corridor to be re-screened (this is normal, every country you enter wants you to pass their own security procedures). There was only one screening checkpoint open and everyone shared it (including the flight crew), but I was right at the front of the line because I’d apparently gotten through immigration faster than people transiting without a visa, and I’d also followed the signs correctly (it wasn’t super easy to figure out what to do, but my guesses in China are right more often than not). After re-screening I was back into the international transit area of Shenzhen Airport. After an underwhelming lounge visit, I went to the boarding gate, which had changed to the exact gate we’d arrived at. 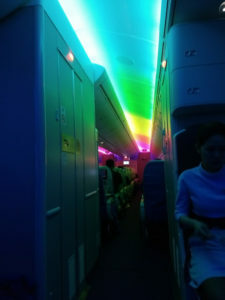 I then re-boarded the same aircraft (with the same crew) for the short (300 mile) flight up to Xiamen. 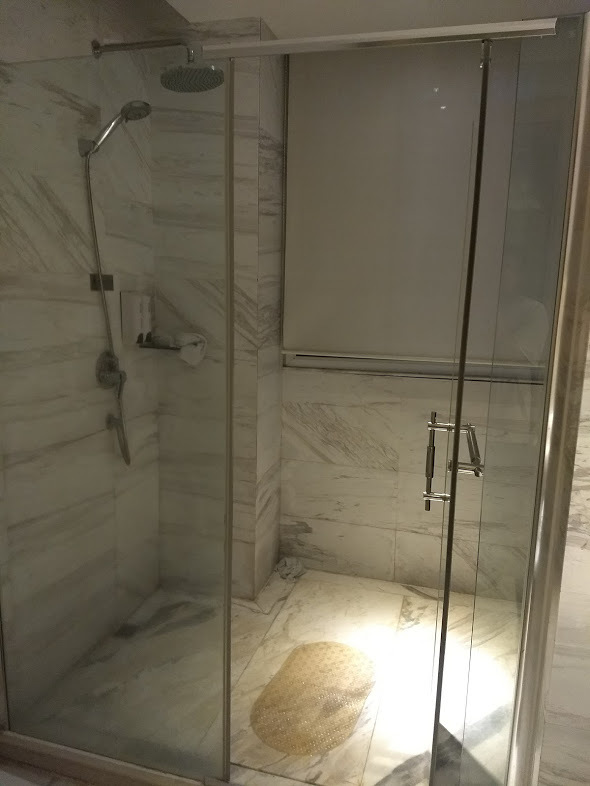 Arrival in Xiamen was also complicated, because just like in Shenzhen, the baggage gets separated out into Customs vs. non-Customs zones. 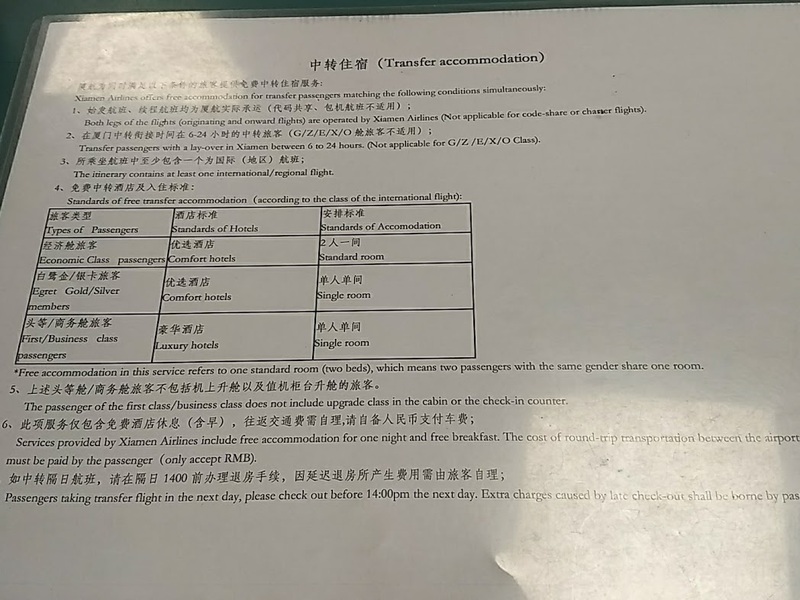 Xiamen Air sells the Shenzhen-Xiamen leg as a separate flight, so bags checked on that leg go into the domestic arrivals area of the airport. However, bags checked on the Seattle-Shenzhen-Xiamen leg go to the international arrivals area. 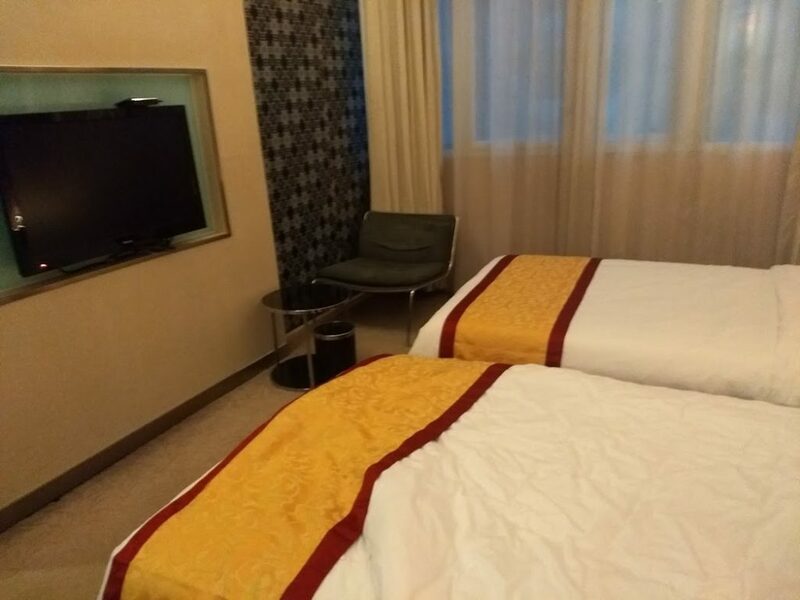 It gets even more confusing because China Customs screens your carry-on baggage in Shenzhen, but they screen it again in Xiamen along with your checked bags. Pay attention to the sign this guy is holding. It’s your only clue. 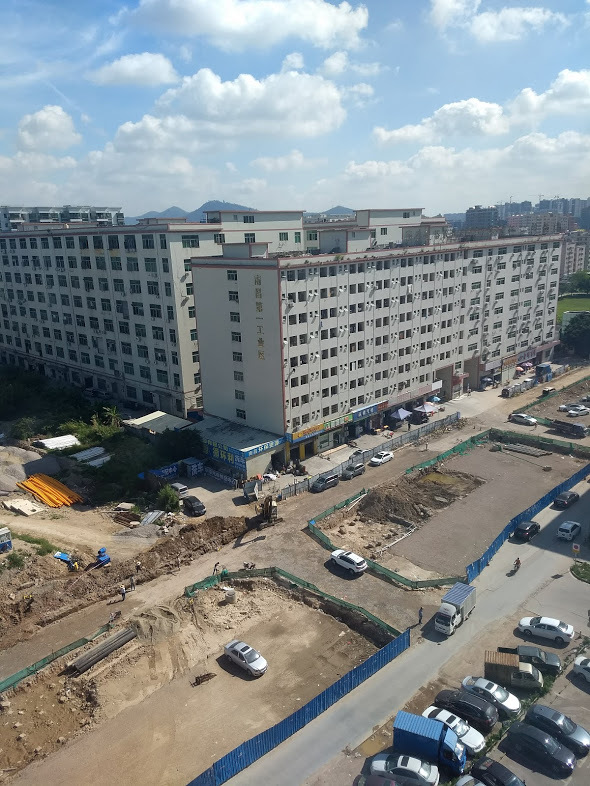 It took a long time to get our bags, and then I was on to the next adventure: finding out whether the promised transit hotel would materialize. I certainly hoped so, because I was exhausted after two flights!